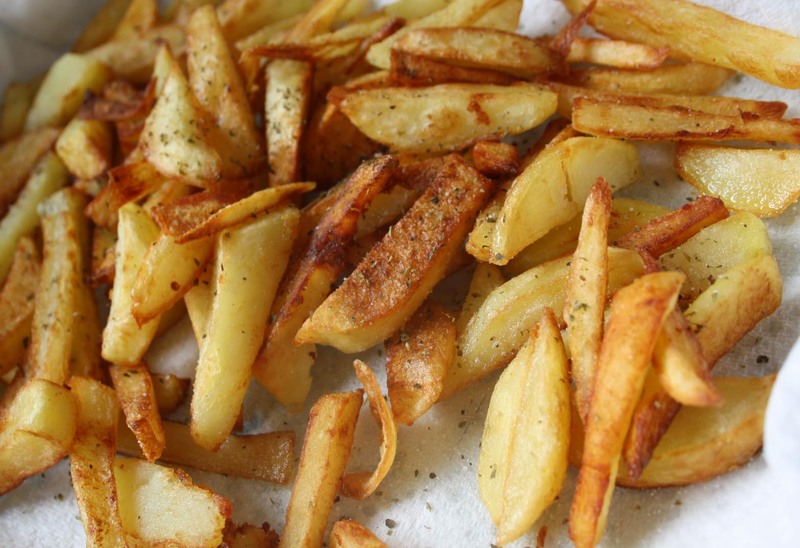 “Φτιάχνουμε πατάτες τηγανιτές;” (How about some fried potatoes?) my mum said today. She has been over for a visit and to help me with looking after our boy while I am working. One little sentence and I was 10years old again! So we started peelling the skin and chatting, and the memories came vivid in my head. We are at the last years of primary school and my brother and I are waiting for mum to come home. “Φτιάχνουμε πατάτες τηγανιτές;!” (shall we make some fried potatoes?). Before I know it he is there in the middle of the summer in his white vest leading the way! The oil is boiling, cause we left it for too long. “Περίμενε! Θα πάω εγώ!” (wait! I will do it!). I saw him opening the draw and using every single towel we owned to cover his arms and skin. He took a big spoon on one hand and a few frozen chips on the other and started throwing them in the pan. It was the first time we cooked, I think. So we made chips today. We peeled the skin and cut the potatoes and fried them and then put salt and oregano and lemon. As odd as it may sound, I hadn’t cooked fried potatoes for years! I suppose I gave in on the oven chips with vinegar a long time ago, before I even realized, and will probably carry on doing so. When was the last time you had πατάτες τηγανιτές? ψητοτηγανιτές?! ενδιαφέρον!! το έχεις στο μπλογκάκι?